Those of us that have watched an episode of Shark Week –or one of the other, all too numerous home movie, reality-oriented clip shows that appear on just about every network now– have witnessed what happens when animals attack humans. Those of us that have watched enough of these videos know the formula. We know that all victims will discover one consistent truth about nature that there are no consistent truths. There are methods to handling animals that those more accustomed to handling animals will relay to an audience to lessen the risk, but even the most experienced handler will state that there are no steadfast rules if a person hopes they can use rules to prevent a wild animal from ever attacking. Those of us that watch these videos often enough also know to expect the survivor state that they have no hard feelings for the beast that attacked them in the testimonials they offer at the conclusion of animal attack videos. Some of us just stare at the screen in silent awe. These survivors either are the most wonderful, most forgiving people on the planet, or they’re just plain stupid. These survivors had the threat of having their limbs torn from their body, at the very least, yet they maintain that they are not in the least bit bitter toward the animal. Some of us find this reaction so incomprehensible that we begin to wonder if there isn’t a bit of gamesmanship going on here. We wonder if the networks of these shows test-marketed victims’ reactions, and they have found that the audience will find such violent clips a little less horrific, and thus more entertaining, if the survivor comes out on the other side of the clip with wonderful, forgiving sentiments. We’ve all had friends that enjoy hearing us say mean things about others, but they will not laugh at a joke made at the expense of another, until they add the, “What an awful thing to say,” qualifier. The qualifier varies with the person, but the need a wonderful person adds to substantiate their characterization before laughing is a constant. On that note, it’s difficult for most individuals to say that they enjoy watching a video of an alligator tear a human apart, unless a qualifier is provided to those that don’t want to feel guilty doing so. “This video,” the after video qualifiers appear to be suggesting, “is nothing more than a study of the brutal realities of nature.” Neither party truly believes this. If some suggest that they do, it’s not the reason that we tune in. Viewers want to experience some schadenfreude by watching a fellow human suffer a wild animal attack, but we need to have a wink and a nod agreement with producers of such content, so they can feed into our primal need for violence with a qualifier that suggests that the viewer is not an awful person for enjoying it. If this isn’t the case, why do almost all of these victims appear to react in almost the exact same manner? It almost appears as though they’re reading from a script. If they’re not reading from a script, we can speculate, the producers don’t air the testimonials that do not provide the show the qualifiers that they need. We here in hysterical, emotional reaction land, know that it is reasonable to state that a bear is “Just doing what comes naturally to them” after it ripped that poor person apart for the delicious treats they happened to have on them when they happened upon the bear’s domain. We know that part of the victims’ testimonial involves them trying to avoid appearing foolish, as they would if they tried to suggest that they had no idea that a bear might attack might occur after they walked into a bear preserve. Even those of that are skeptical of this whole practice would admit that we would consider that person foolish if they said that, or at least more foolish than a guy that expressed surprise after being attacked by a bear at a Schlotzky’s sandwich shop in Omaha, Nebraska. We also understand that it’s the goal of those that give testimonials to appear reasonable when they say, “It was just a bear doing what a bear does” when she clenched her jaw on their face and left them looking like the elephant man. We understand that to suggest that the attack was, in anyway, vindictive, personal, or that they were acting in a manner other than instinctual, would make that victim appear foolish. We also know that most animals don’t single people out for attack, and that they prefer to avoid humans, unless conditions dictate otherwise. All of this is perfectly reasonable, even to those of us in hysterical, emotional reaction land, but it discounts the emotional, hysterical reactions one should have if a bear removed one of their limbs, or left their face in a condition that now causes small children to run screaming from them at the mall. I do not think I’m alone when I state that if a bear ripped me apart to a point that I was on life support, in a coma, or clinging to life for months that I would spend the rest of my hysterical life cheering on bear hunters. Would it be reasonable, seeing as how I was in a bear preserve when the bear attack occurred? It would not be, but most survivors of bear attacks should not be so reasonable that they are now able to hide their new lifelong, irrational fear (see hatred) of bears in the aftermath. If there is anyone that we might excuse for being bitter, and hateful, it is Charla Nash. 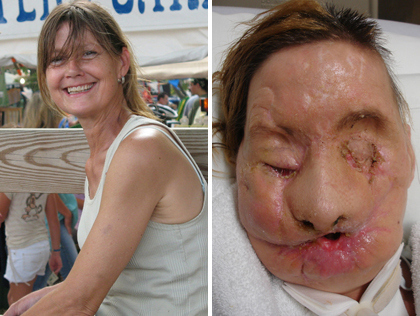 Charla Nash was the victim of a chimpanzee attack, in 2009. That chimpanzee was a friend’s pet, a 200-lb chimpanzee named Harold. In the attack, that occurred in a suburban neighborhood, this chimpanzee blinded Charla. He also severed her nose, ears, and hands. She also received severe lacerations on her face. Her life was as ruined as any that have survived an animal attack, but Charla Nash, somehow, remained forgiving. She wasn’t as forgiving as those that offer statements based on what I believe are a reaction to a “Do you want to be on camera? Then say this …” type of stated, or unstated ultimatum. Charla Nash does appear to be forgiving, and that forgiveness appeared genuine. 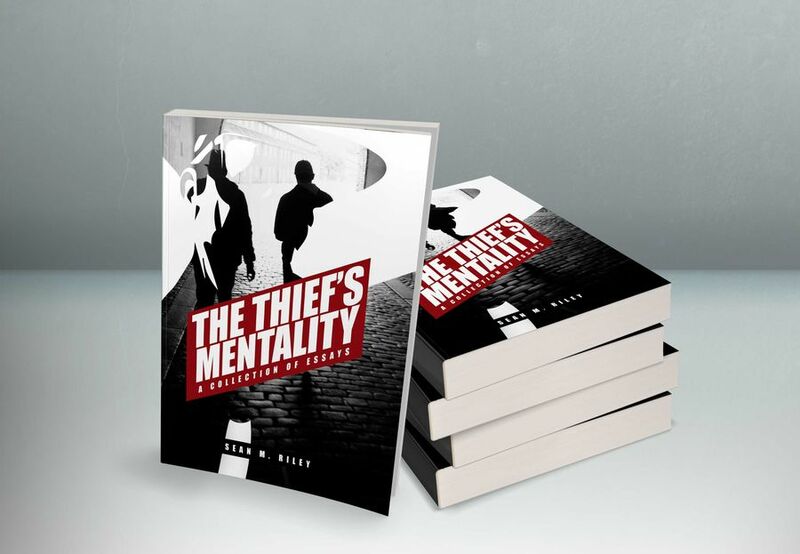 Charla Nash provides a philosophical outlook on life that those of us that have lived without such a horrific moment in our lives can use as inspiration in dealing with our comparative trivialities. Her response to such a vicious attack is nothing short of admirable. It’s a little incomprehensible to most of us, but we still respect Charla Nash for maintaining what appears to be genuinely optimistic about life after such an attack. The “goose guy” is not Charla Nash, however, and he should not be afforded the same admirable plaudits Nash is due. The goose guy is just an idiot. The goose guy, pro kayak angler Drew Gregory, was fishing in a lake one day when a couple of geese began swimming near him. Drew Gregory decided to feed the geese some of the contents from his backpack. One of the geese, in the competition for the food Gregory was offering them, decided that the best way to beat his competition to the food was to go to the source. The goose, doing what a goose does, attempted to empty Gregory’s backpack, and in the process sent Gregory overboard. After that, the goose appeared to begin laughing at the goose guy. If it wasn’t laughter, the sounds the goose made sounds that one could confuse with an expression of dominance. The first thing that struck me is why does a guy film himself fishing? I understand that fishing shows date back to an era that precedes me, but I have never understood how it achieved a level of popularity in a visual medium. The next question I have for the goose guy is why did you allow this particular, embarrassing video distribution? Why didn’t you hit the delete button on your phone in the immediate aftermath? If I were involved in this incident, no other set of eyes would ever see this video. I don’t think I would even be able watch it. My pride couldn’t take the hit. It is just a goose, I’m sure most readers will say, and what are the chances that an on average seven-to-eight pound animal could end your life? We can all agree that those chances are remote, but what are the chances that that same animal could do irreparable damage to an eyeball or an ear? What are the chances that a goose could do something that would land a victim in the hospital? I can tell you one thing. I would not be calculating these possibilities in the perilous moment. I’m thinking that some primal, self-preservation tactics would rise to fight my attacker off. I can also guarantee you that the networks, that run such shows, would deem my video unusable, as I’m sure that videos of goose beheadings don’t test well in the market research these shows probably conduct. I would also not be that amiable dunce that found a way to laugh about it later. I would not view this moment in my life as entertaining in anyway. I would not qualify it by saying that I was in goose’s environment, and I deserved everything that happened to me. I would see such a moment as one of those survival of the fittest moments. I would think about all these videos I’ve watched, and how the one thing we do know about nature is that it’s unpredictable. I also have to consider the idea that I would not think about any of this, not while in the moment. I have to think that my impulses would override rational thoughts. I would just act. I would just grab this thing by the throat, whisper Hannibal Lecter lines to it, and separate its head from its body. If that bird managed to escape all retribution, and I still had some angle on it, I would grab my kayak oar and drive the bird in a manner that would make fellow lefty, golfer Phil Mickelson, proud. After witnessing a Rottweiler attack in person, I find myself relegated to an embarrassing hysterical, emotional land whenever the average, full-grown Rottweiler walks into a room. It’s irrational and emotional, two reactions I strive to avoid in life, but they’re a part of me I cannot control. I’ve lost arguments with those that state that no dog, be they Rottweiler, Pit bull, or otherwise are evil by nature. They cite science, and I cite hysterical emotions based upon experience. I lose. Even as I’m losing these arguments, however I know I’m not the alone with such thoughts. Those that laugh at me, or form thoughts about my inferiority on this subject, inform me that my thoughts are in the minority, but I think our numbers would grow if more people witnessed such vicious attacks firsthand. I’m also quite sure that what I consider normal reactions to attacks, by wild animals, end up on the cutting room floor of these ubiquitous clip shows, for those that need to feel better about their enjoyment of such shows would not appreciate what I have to say, or what I do, in the aftermath of such an attack. You Don’t Bring me Flowers Anymore!